Folks, if you give people things for free, don't blame them for taking them. To be fair, Republicans are not blameless. The deficit began to spiral out of control on President Bush's watch. He voted in favor of an amendment prohibiting federal funding for Planned Parenthood. He voted against prohibiting federal funding of NASCAR sponsorships. On November 2 2010 Woodall defeated Heckman to win the election. 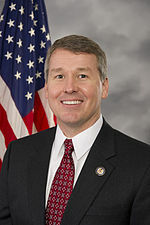 Representative for Georgia's 7th congressional district since 2011. Congressman John Linder (R-GA). William Robert Woodall III (born February 11 1970) is an American politician who has been the U.